The sky is the limit when it comes to boosting your broadcast capabilities. Learn about drones and other media enhancing technologies and regulations surrounding them at the 2018 Great Lakes Media Show. The Great Lakes Media Show, formerly know as the Great Lakes Broadcasting Conference & Expo (GLBC), will take place March 6 and 7 at the Lansing Center in downtown Lansing. 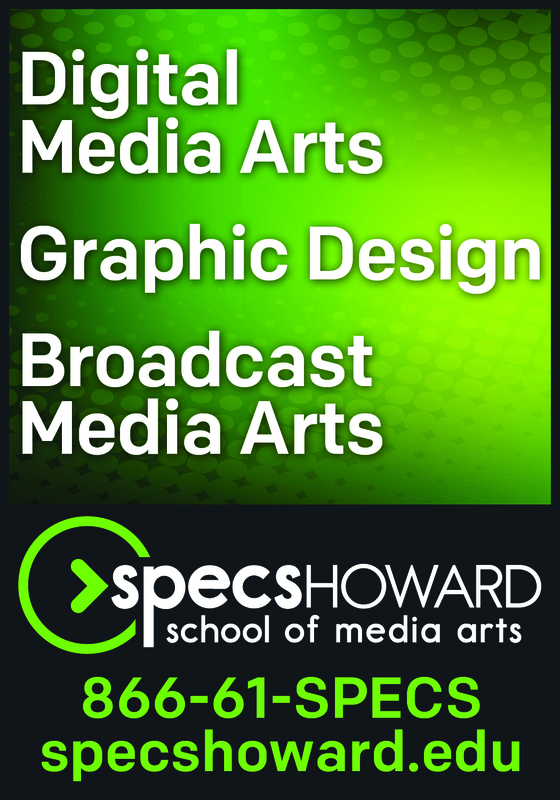 Learn more at GreatLakesMediaShow.com. Brian will present about new technologies and tools that we can all use to tell stories: 360-degree video, GoPros, virtual reality, drones, hand-held steady cams and more. 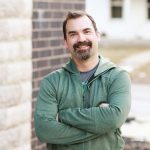 He will show various tools available for video and talk about how they are using them at Michigan Creative and how you can add some of the tools to your toolbox. He will also talk about the types of videos companies are using, how they are distributing them, and how they are advertising with them. More and more broadcasters are relying on drones for news gathering and tower inspections, but what is really required to ensure that you are operating legally? This session will provide an overview of the current federal regulations governing drone operations. Learn about registration requirements, pilot requirements, operational limitations and opportunities to operate outside the current rules. Michigan Drone Pros also will be on hand during the 2018 Great Lakes Media Show to provide drone demonstrations from the Innovation Stage in the Exhibit Hall. Learn more about Brian Town, Bob Kirk and other dynamic speakers coming to the 2018 #MABshow at GreatLakesMediaShow.com. There were many special guests who helped bring in the fun, including Sparty, Laura Sams and Robert Sams from “Get Your Feet Wet LIVE”, Splash and Bubbles, Curious Crew and host Dr. Rob Stephenson, our sponsors and various community organizations. The open house and party featured many fun activities and games for kids to partake in. Many enjoyed taking pictures with Potter Park Zoo’s owl, exploring the impression table with Impression 5 or reading books with the Capital Area District Library. “PBS KIDS Day is an absolutely exceptional endeavor in supporting families and children throughout our region,” said Robin Pizzo, WKAR director of education. Kids also participated in MSU’s Department of Kinesiology’s obstacle course , baby treadmill and tummy time and posed for a picture with Sparty, Splash and Bubbles! In addition to the activities, WKAR presented a video of the Playtime Pad Research Project, a collaboration with WKAR, MSU’s College of Communication Arts and Sciences, PBS KIDS, MSU’s College of Education and the Lansing School District. The project explores the effectiveness of tablet-based learning in early childhood math literacy, while providing access to the latest digital learning tools for students, teachers and parents. For more pictures of the event please visit WKAR’s Facebook and Flickr pages. Michigan Radio is launching a local project to give voice to residents of Detroit’s MorningSide neighborhood, as part of the station’s continued participation in the Detroit Journalism Cooperative. The MorningSide Podcast project will recruit residents from the neighborhood to produce regular podcasts of local interest and news for their fellow MorningSide neighbors. Michigan Radio will assist with the production and distribution of the podcast. 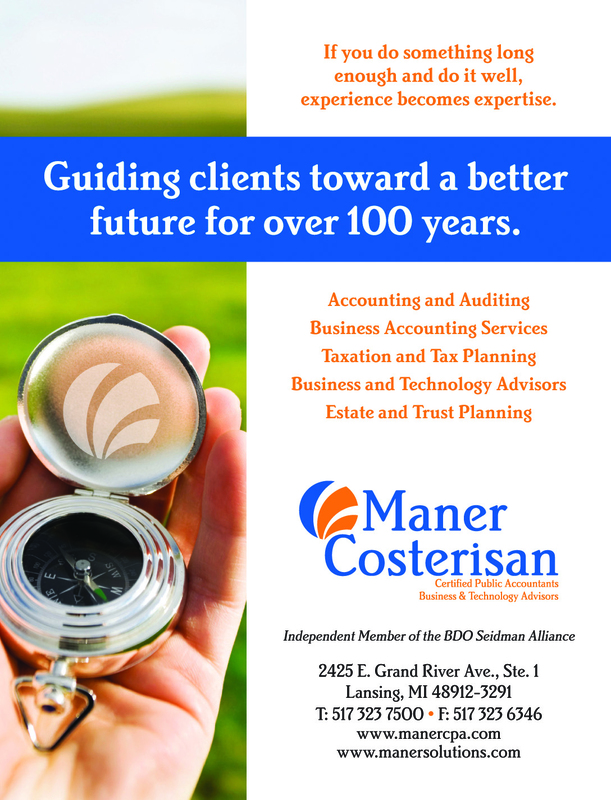 The MorningSide neighborhood is located on the east side of Detroit, bounded by Harper Avenue and I-94 on the north, Mack Avenue to the south, East Outer Drive and Whittier on the east and Alter Road and East Outer Drive to the west. Detroit-based writer Imani Mixon is spearheading the project. A graduate of Northwestern University’s Medill School of Journalism, she returned to her hometown of Detroit to document its history and resurgence, with a particular focus on neighborhood change. 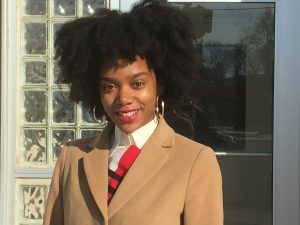 Last year, she reported weekly articles in Detroit’s North End neighborhood as an On The Ground project editor with Model D Media. The first MorningSide Podcast episode will be distributed by the end of February, with many more coming throughout 2018. 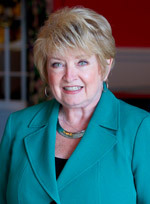 Funding for the project is provided by the James L. Knight Foundation. Michigan Radio is an NPR news station, and broadcasts at 91.7 FM in Detroit and southeastern Michigan, 91.1 FM in Flint, 104.1 FM in West Michigan, and online at michiganradio.org. Michigan Radio is licensed to the University of Michigan in Ann Arbor. The Detroit Journalism Cooperative (DJC) is a partnership of five media outlets reporting about and creating community engagement opportunities relevant to the city’s bankruptcy, recovery and restructuring. 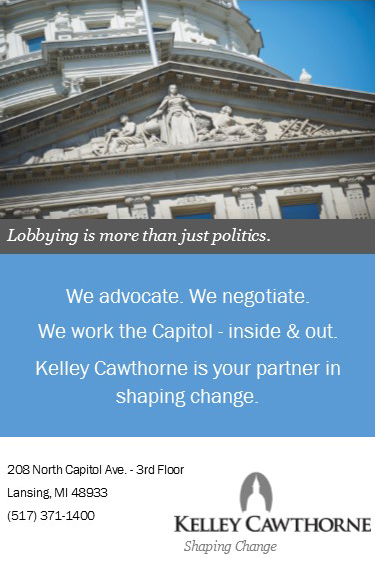 The Cooperative includes The Center for Michigan’s Bridge Magazine, Detroit Public Television (DPTV), Michigan Radio, WDET, New Michigan Media and Chalkbeat Detroit, a partnership of ethnic and minority newspapers. I tell people that you’re not really in the radio industry until you’ve been fired at least once. We work in an industry with a lot of turnover, and that means we can lose a lot of time to learning curves as new people step in to take over the duties of previous employees. It’s not just staffing changes that can cause disruptions. If a member of your team gets sick or injured, you may need somebody to step in and fill their role for a bit. To minimize the digital disruption in these situations, it’s helpful to write instructions and save them in a place where multiple people have access to them. These instructions are useful not only to people who have to take over a role, but also to the same person who may have performed the task in the past. Because I do it so infrequently, I often have to go back and figure out what I did the previous year. If you’re responsible for an infrequent task, such as setting up ticket sales for an annual station concert, it can be incredibly valuable to go back and read instructions — even if you’re the one who wrote them! If you don’t already have instructions for your most important digital tasks, start writing them today. The next time you have a staff position turnover, you’ll be glad that you did. Last week, I wrote about the power of the human voice. Each of us who decided to make radio a career was influenced by the voices we heard coming through our radio speaker. My first radio, a pocket Zenith Royal 50 transistor, was purchased at Sammy Vincent’s Music Store on North Street in Pittsfield, Massachusetts. My first SONY reel-to-reel tape recorder would also come from Sammy Vincent’s. Both of these wonderful electronic devices would be the foundation of my lifelong radio career. Sammy Vincent’s was also the place to get a free copy of the latest WPTR-AM1540 Top 31 songs of the week. Every market had their own Boom Boom. For example, Boston had Arnie Woo Woo Ginsburg, New York City had Cousin Brucie and Los Angeles had The Real Don Steele. Each were larger-than-life personalities that lived the part of being a radio star. Each were more important to their listeners than the hits they exposed them to. These legendary radio personalities caused so many baby boomers to get into the radio industry. I had the opportunity to meet Boom Boom one Saturday afternoon when he was broadcasting from a little phone booth like studio in the transmitter room, next to the huge 50,000-watt transmitter. He was the consummate gentleman and further inspired this young broadcaster as he let me sit in with him during his broadcast that day. 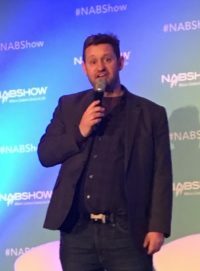 Fresh off CES2018 many radio executives are talking about the latest shiny new things that are on the horizon and how they will impact radio. Everyone’s talking about how radio needs to innovate. The big question is how does the radio business manage its innovation resources. In his book, Mapping Innovation, author Greg Satell cites the 70-20-10 Rule that is used by companies like Google to allocate resources. 70% of a company’s resources should be invested in sustaining improvements to existing products. Eric Schmidt, Google’s Chairman, said the 70-20-10 Rule insured that Google’s core business would always get the bulk of the resources. 20% of available resources should get invested in exploring adjacent opportunities. The remaining 10% are for creating something entirely new. Something that most likely will crash and burn, so you want to be able to sustain this effort without it damaging your core business. What Satell said he learned about businesses that invested in basic exploration was they all eventually hit on something big. What would you say radio’s 70-20-10 rule is? 70% goes to pay down the debt? I’m sure many come away with that impression from what they read in the trades. But not every broadcast company is in that predicament. How about your radio company? Consider this operating strategy: 70% of your resources should be invested in your people who create the radio you broadcast every day. 20% should be invested in the adjacent delivery pipelines, like streaming, NextRadio and voice activated devices. And 10% should be invested in building a new paradigm. What’s happening in the 21st Century is the acceleration of change for all industries. Innosight predicts that about half of the S&P 500 will be replaced by 2026. 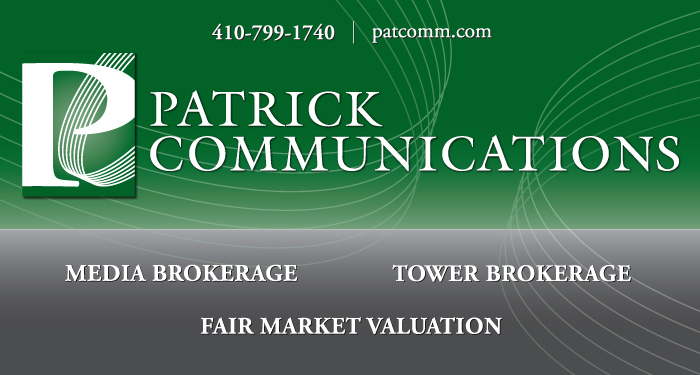 Back in 1965, 33 years was the average tenure of a company on this stock exchange. By 1990, this narrowed to 20 years. By 2026, it’s forecast to drop to 14 years. So, the gale force winds of change have never blown with more velocity. What great local radio personalities each created in their markets was a sense of community and companionship for their listeners. That’s radio’s core business. It’s where the bulk of your resources should be directed. Put your money where your mouths are. The two-year partnership between MAB and IVaccinate has a new emphasis this year as we turn our attention to the flu season. This is the particularly dangerous flu season. It’s not only hitting children and those with a weakened immune system; it’s bringing perfectly healthy people down to their knees and in some cases is causing death from complications caused by the flu. The flu impacts personnel at many of our member stations. You can help us get the word out to your staff and your audience that “it’s still not too late to get a flu shot,” according to MDHHS. There is a lot of misinformation out there. Healthcare experts are saying that Michigan citizens should disregard recent news reports that wrongly claim the flu vaccine to be only 10 percent effective this year in the US. In fact, this figure is an Australian estimate of the vaccine based on only one strain of the flu. In the United States, the overall effectiveness against all circulating flu was 39 percent in the ’16-’17 flu season – a more accurate predictor of this year than foreign estimates. As broadcasters we need our station personnel healthy because when the chips are down we need to keep going. 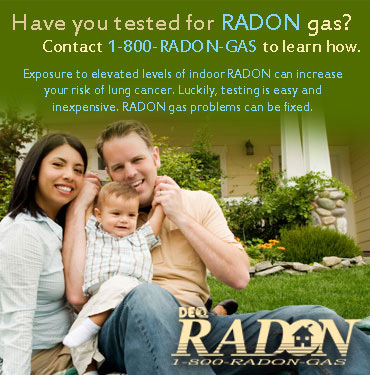 We want our viewers and listeners, as well as you and your team members, to stay healthy. You are doing a great job in covering this issue. We want to encourage you to keep up the excellent coverage of this flu season and promote flu vaccination. 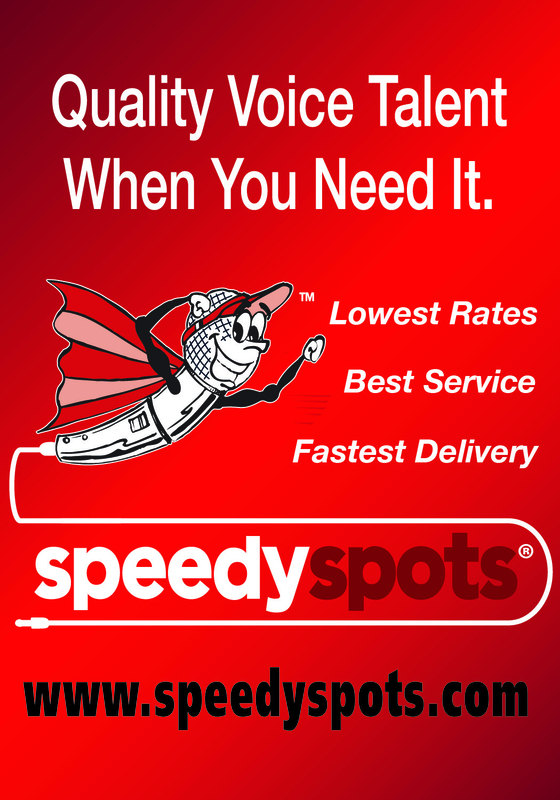 It is vital we provide current accurate information to your audience. To assist you, MDHHS provides important information at IVaccinate.org that you may use in news reports, as well as experts for you to interview, ads for your website and social media posts and more. Beyond the flu season there are 16 potentially harmful diseases preventable by a mere vaccination. Vaccine-preventable diseases have devastating consequences on children, families and communities. 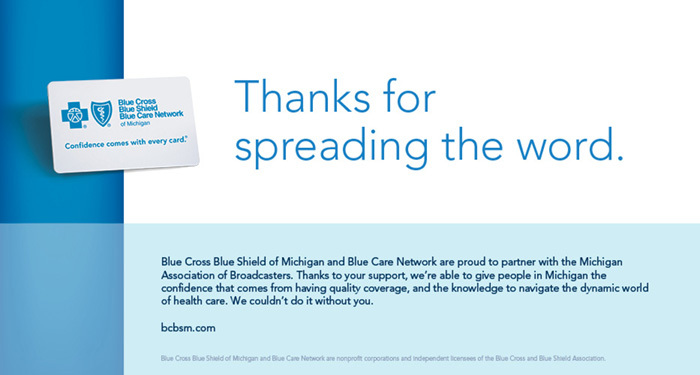 Thank you for your help in keeping the attention of this year’s flu season and the importance for vaccination. 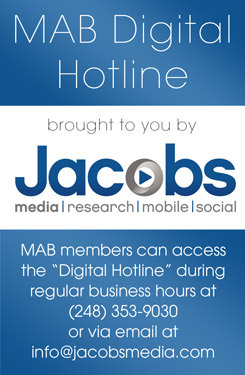 Click here to download IVaccinate Radio/TV spots and more from the MAB. Challenge on January 27. The challenge is a 10-week program designed to encourage listeners to exercise, eat healthier, and have a better overall understanding of what it means to live a healthy life. participate in this initiative. 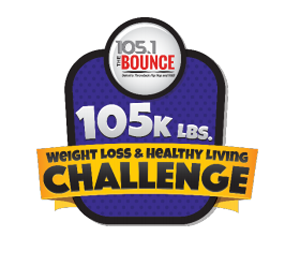 Interested participants can register for the FREE challenge at www.1051thebounce.com to pick a team to help motivate them on a weekly basis and tune into 105.1 The BOUNCE to listen for healthy tips. On February 24 and March 24, listeners will be able to see how much progress they have made during the journey and celebrate at the final weekly work out, which will take place on March 31. For more details, visit www.1051thebounce.com. Gerry Anderson, Chairman and CEO of DTE Energy. 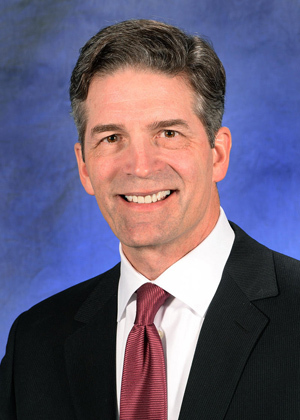 Photo credit: DTE Energy Co.
WXYZ-TV (Detroit) has named Gerard “Gerry” Anderson, Chairman and CEO of DTE Energy, the 2017 Newsmaker of the Year. Anderson has been applauded for his company’s civic contributions, including the state-of-the-art Beacon Park, the annual tree lighting at Campus Martius Park, new neighborhood street lights, and power for major public events including the Detroit Grand Prix. WXYZ’s weekly public affairs program, “Spotlight on the News,” will feature an in-depth interview with Anderson on Sunday, Jan. 28, at 10 a.m. Host Chuck Stokes and Anderson will discuss topics including urban revitalization, education, youth empowerment, the environment and mass transportation in the region. 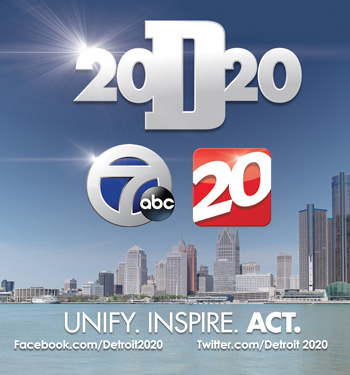 Past WXYZ Newsmakers include Chris Ilitch and Chief James Craig (2016), Mike Duggan (2015), Kevyn Orr (2013), Dan Gilbert (2012), Justin Verlander (2011) and Rick Snyder (2010). 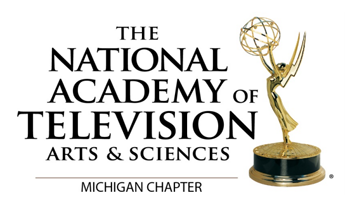 The Michigan Chapter of the National Academy of Television Arts & Sciences (NATAS) has announced the nominees for its 2018 Silver and Gold Circle awards. One of the highest honors given by NATAS, the Michigan Silver Circle® recognizes television professionals who have performed distinguished service within the television industry for 25 years or more. Gold Circle® inductees have served the industry for 50 years or more. Silver and Gold Circle® members are honored for more than their longevity — they are honored for making an enduring contribution to the vitality of the television industry and for setting standards of achievement we can all hope to emulate. These honorees also give back to the community as mentors, educators, and volunteers. The Silver Circle® Luncheon will be held on Sunday, February 25, 2018 at the Townsend Hotel in Birmingham at 12:30 p.m. For more information or to purchase tickets, click here. 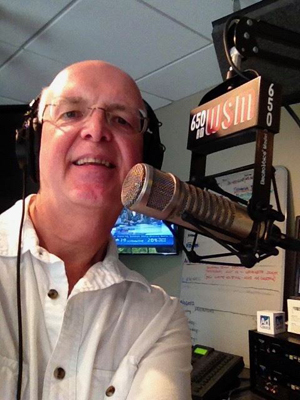 Longtime Detroit radio personality Doug “The Doc” Podell has joined the staff of Cumulus Media’s WDRQ-FM (Detroit). 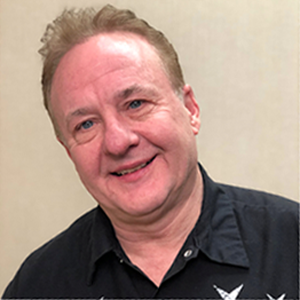 Podell will be on air Saturdays and Sundays from 2 to 7 p.m.
Podell’s radio career in the Detroit area dates back to 1976, with his most recent stint being at WCSX 94.7 FM. He worked as the program director and a host for the classic rock station before exiting in November. Podell replaces DJ Lisa Lisa Orlando’s time slot, who moves over to sister station WDVD-FM.